1. Same word translated the same way each time [except in the case of glossary words, which are included in brackets]. 2. For glossary words in brackets, one form of the Greek word for all derivatives 3. Include plus verses. 4. We try to follow Greek word order. 5. We substitute names for pronouns when the reference is not obvious. 6. We respect the integrity of the line even at the expense of the distinction between active and passive voice. We wanted our translation to reflect the oral traditional system within which the Iliad was composed, and we were willing to compromise, within reason, on many things (meter, English word order, elegance) in order to make this happen. We managed to translate several books of the Iliad this way as a group, but eventually we decided, because of our slow rate of progress, that we would each take on individual books, and then submit them to the group for approval. I can't remember how or why I came to be assigned Book 2, but the fact is I never finished my translation. I didn't even come close. I would like to return to this project, but in a way that goes beyond translation. I'd like to take the opportunity to better understand the place of the Catalogue of Ships within the oral epic tradition. I have written about the textual transmission of the Catalogue here, but what I would like to do now is approach the text that has been transmitted to us as an organic part of the system that is Homeric poetry, exploring its interconnections with the rest of the Iliad and the epic tradition as a whole (to the extent that we can reconstruct it). I am happy to report that Mary Ebbott will once again be my partner in this work. Each of us will contribute individual posts on the oral poetics of Iliad 2 to this blog, as we have the time and inclination, and we will no doubt also collaborate on particular entries as we have in the past. It is our hope that in working together in this way we will be able to learn more about the poetics of Iliad 2 and its place in the epic tradition than we otherwise could have on our own. Our plan is to translate brief passages in the order they have been transmitted, and then to research those passages as we go along, drawing on previous commentaries and scholarship (such as the commentaries of Leaf and Kirk, important monographs such as Hope Simpson and Lazenby 1970, and more recent discussions of Catalogue poetry by other scholars) and our own knowledge of the epic tradition. To what extent we can contribute new research on the many questions raised by the Catalogue, we will, but where we will most noticeably depart from the work of previous scholars is in our approach. Much as we did in connection with the so-called Doloneia in our book Iliad 10: and the Poetics of Ambush, we will approach the Catalogue as oral traditional poetry composed within the same system that gave rise to the rest of the Iliad. In other words, rather than seek to show how the Catalogue is different from the rest of the Iliad, we will emphasize the commonalities, and attempt to understand the Catalogue organically. As always, the comparative fieldwork of Milman Parry and Albert Lord, and the work of subsequent scholars who have built upon that fieldwork, will serve as the foundation for our understanding of how oral poetry operates. 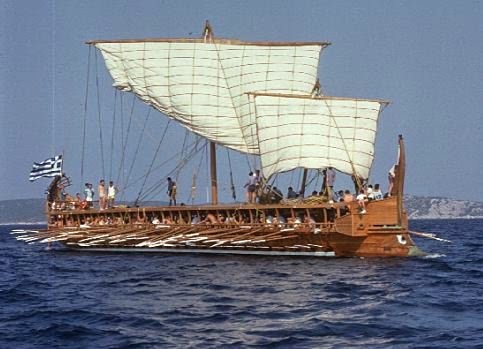 There is still a tendency in Homeric Studies, inherited from the 18th and 19th centuries, to look at the Iliad as an assemblage of pieces, and to perceive some of the pieces as being more "Homeric" than others. Even scholars that see a single oral poet as being responsible for the version of the Iliad that has come down to us speak of the Catalogue as being a separately composed piece that has been reworked for its present place. (See e.g. Kirk ad 2.494-495.) We see the text as layered, linguistically and poetically and in its references to material culture, but the layers cannot be separated from one another, so perhaps layered is not the best metaphor to use. (See especially E.S. Sherratt, "'Reading the Texts': Archaeology and the Homeric Question," Antiquity 64 : 807-824.) As formulaic language entered the system and displaced other language and the poem evolved, these formulas became inextricably bound up with one another. We feel that it is worth studying particular passages and formulas within those passages as individual units in order to learn more about the oral tradition, how our Iliad came to be, and how various passages might have been understood in particular ways in different times and places, but we do not seek to show that some parts of the poem are somehow more valid than others on the basis of antiquity of the formulaic language or any other criteria. In focusing in on particular parts, we seek to better understand the system of Homeric poetry as a whole. In the next few months I plan to return to my translation work after a long break, and I will be posting my preliminary translations and research findings here, as I go along. I hope it won't be another eight years before I have completed my translation of Iliad 2, but I am not making any promises. Mary plans to start posting on the poetics of Iliad 2 later this year.